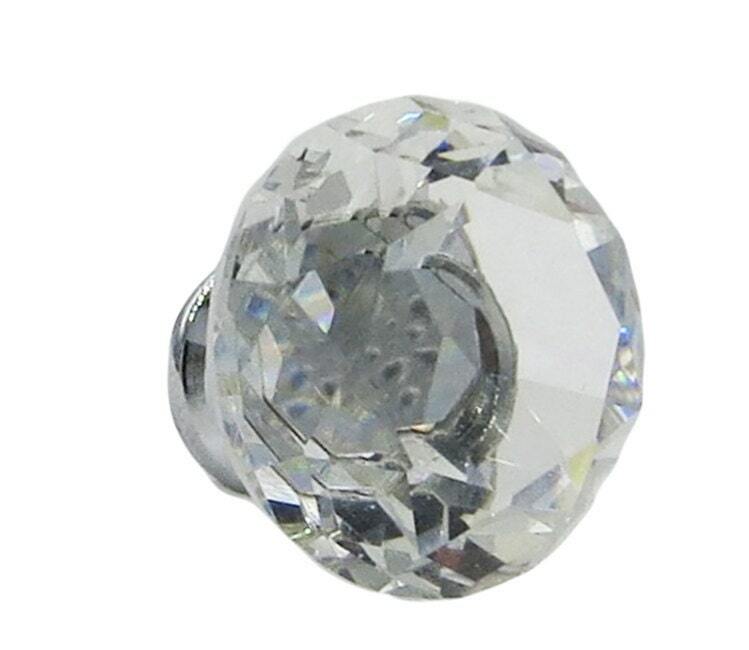 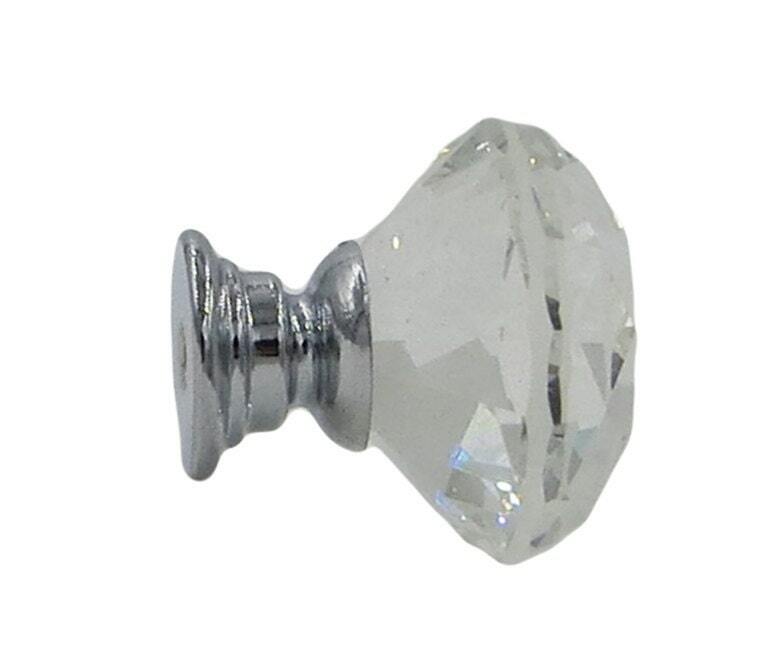 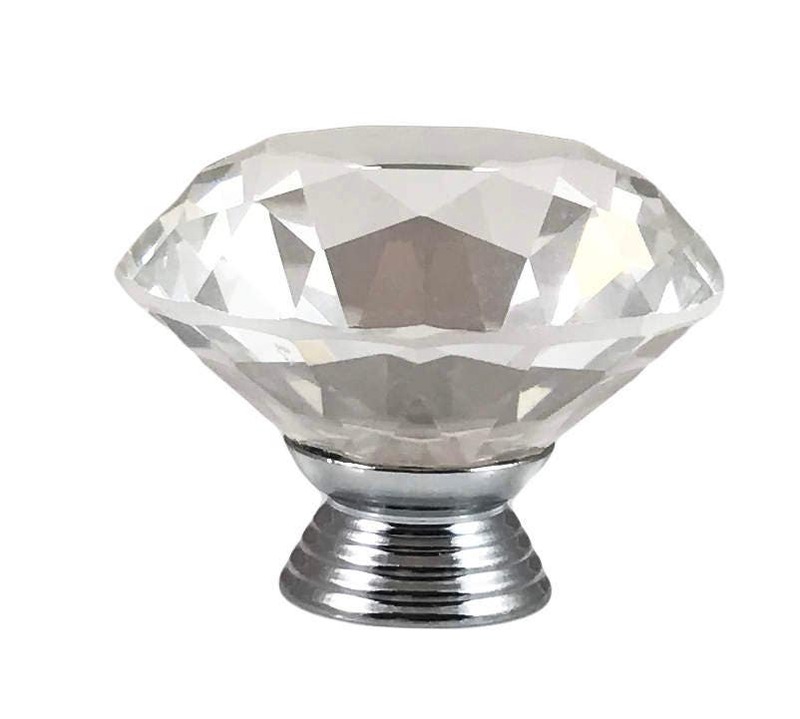 Crystal Glass Diamond Shape 40mm, 1.5" (larger one) Drawer, Door, Cabinet or Dresser Knob Pull. 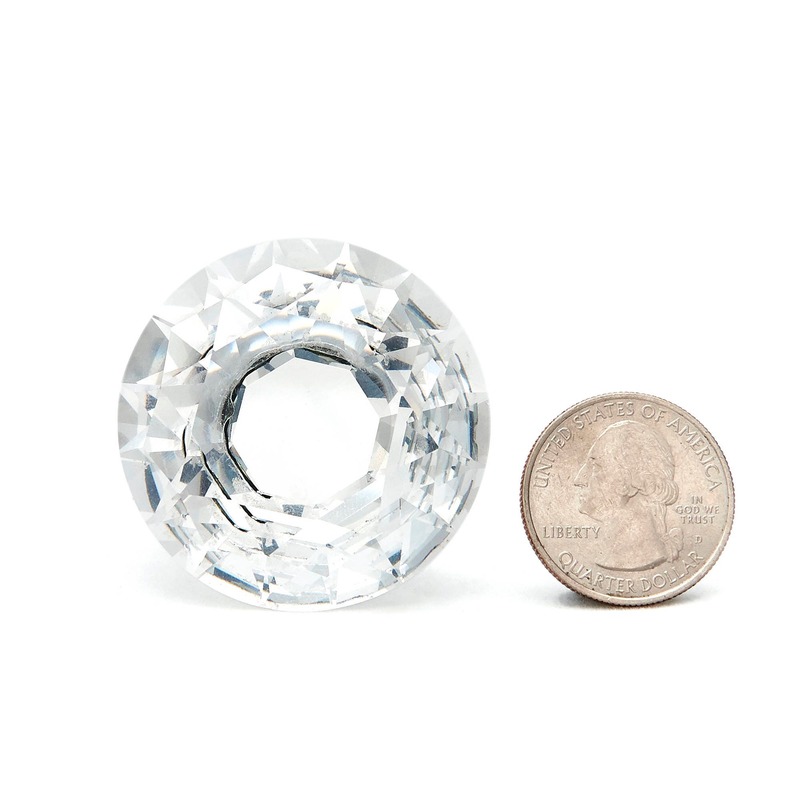 REAL glass, NOT acrylic. 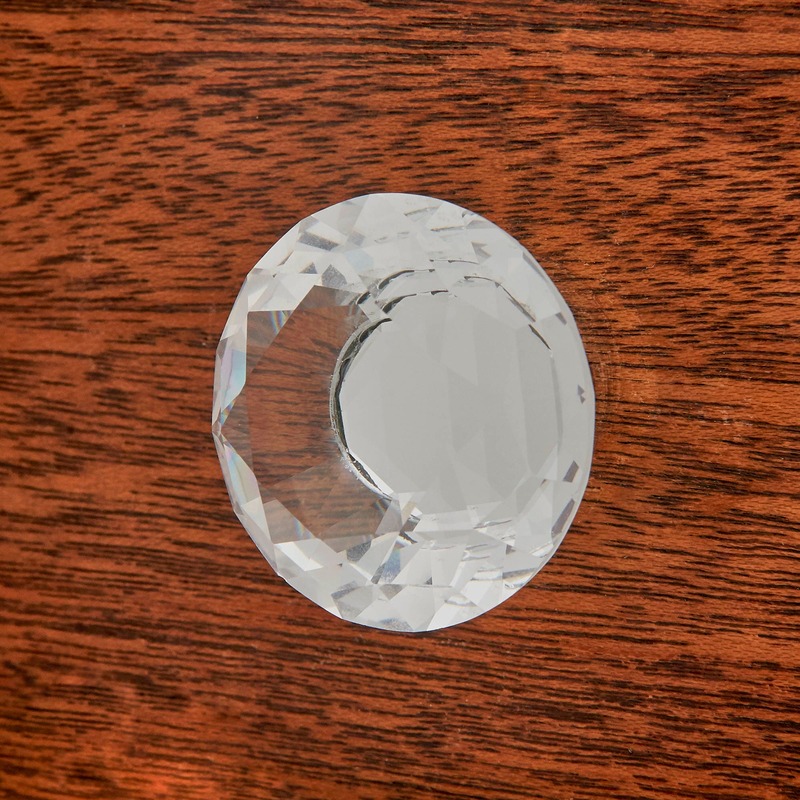 Brushed Nickel metal base.